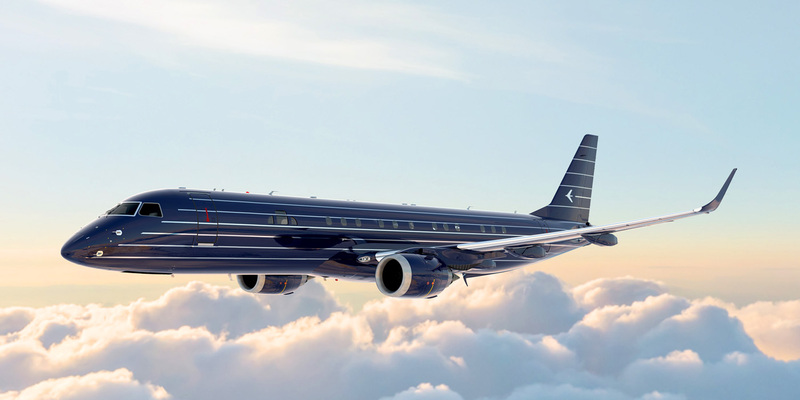 The creative team at Embraer Executive Jets and the brilliant designer Eddie Sotto has released breathtaking jet concept called the Manhattan Airship. 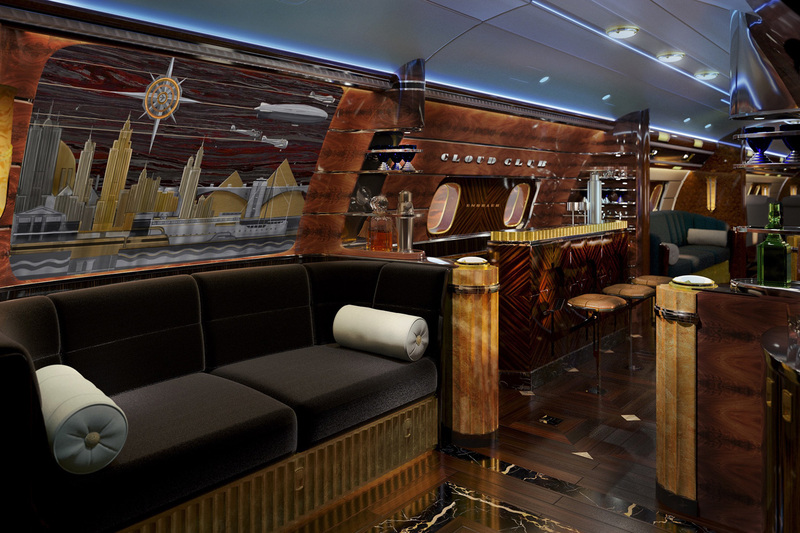 The interior of a private jet is perfectly equipped to transport you to another era. The interior of the Lineage 1000E has been beautifully redesigned for this project, which pushes boundaries way beyond their limits, with a superb Art Deco motif and many incredible updates. 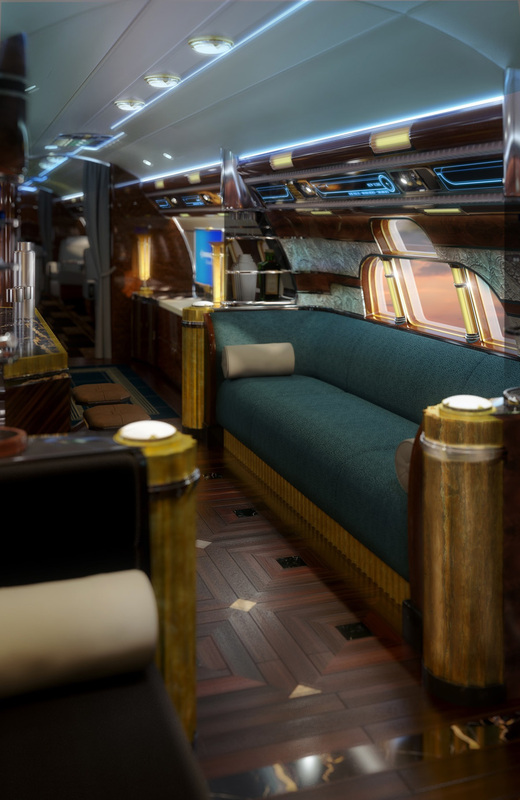 Featuring a cabin that’s 84 feet long and 6 feet 7 inches tall, the Lineage would normally boast five passenger zones, which can include a master bedroom with a queen-size bed and shower, but everything has been modified for this special concept, to feature interesting details and cultural references meant to keep passengers in their seats for as long as possible. 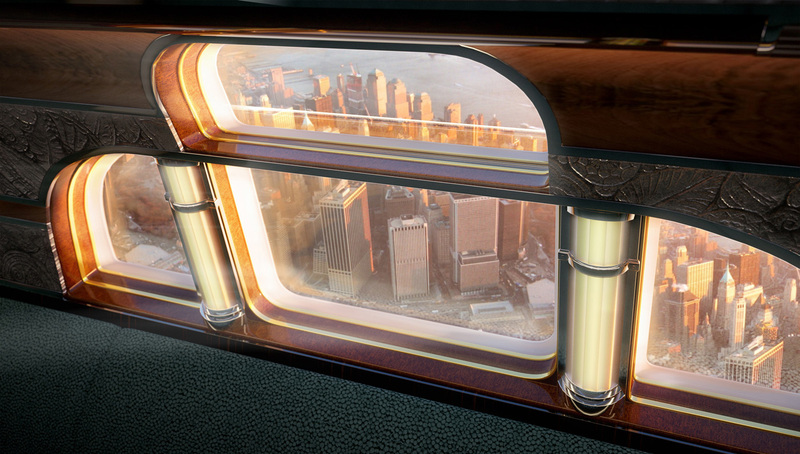 Many of the Art Deco design elements reference the ocean liners Normandie and Queen Mary, with this jet packing a wonderful cocktail lounge with an intimate dining area. Certain areas of the cabin have been outfitted in dark wood flooring and paneling, and feature gold- and brass-colored accents. The wall of the cabin’s entryway shows off a stunning metallic mural depicting the Manhattan skyline circa 1930, and there’s also a cozy lounge area inspired by the rooftop club inside the spire of Manhattan’s Chrysler Building. This includes a bar with retractable bar stools, vintage-inspired sconces, and a mohair-and-lambskin divan under a city-loft-style window. 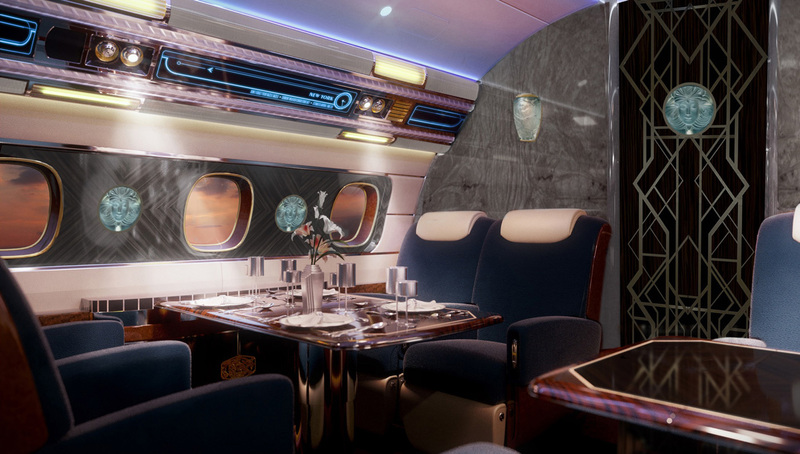 A cinema room with simulated alabaster torchères, surround-sound audio, and a 4K video screen can be also experienced aboard this plane, along with the Salon Dumont and the Crystal Room. 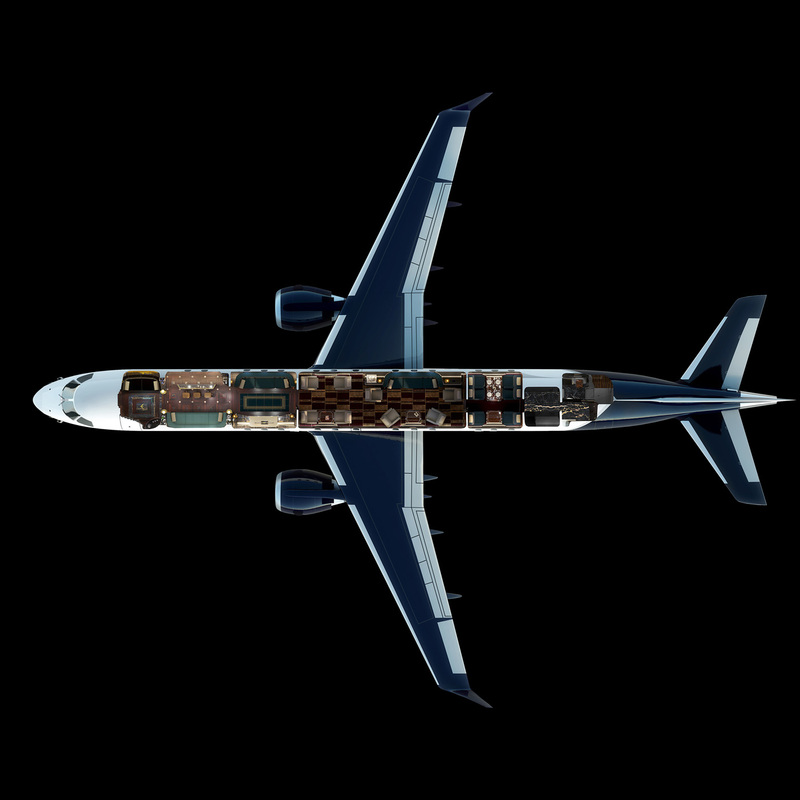 The latter allows up to six passengers to dine at a table with decorative inlays, rest on mohair-covered seats, and simply enjoy the good life. And the price for it all is $80 Million, just for the interior.